Both staff and the management need to do their part in order for their workplace to remain clean and healthy. 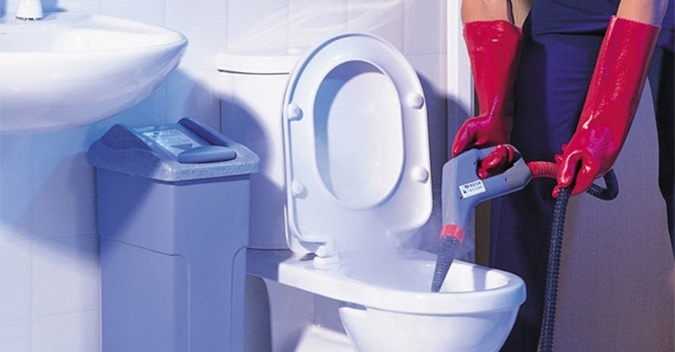 One effective way for the management to make an effort is to encourage proper workplace hygiene etiquette. That is why we have created these hygiene etiquette posters that would help remind and encourage your staff to practice good hygiene at work. You can display these at your workstations, washrooms, or at the pantry to promote better workplace health. Download these hygiene etiquette posters for New Zealand businesses that you can for free. They are meant to remind people about good practices when it comes to their hygienic habits in the workplace. They are printer-ready, so you don’t have to do anything but hit “download” and “print”. Alsco offers these posters for free for every business owner who wants to make their workplace safer and cleaner. 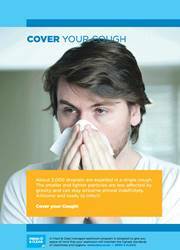 Remind your employees to cover their cough to avoid spreading diseases and viruses in the workplace. Place this poster at your workplace, especially during the cough/flu season. Coughing is a reflex so people don’t always have a moment to think before they cough. Remind them to cover their nose and mouth with this straightforward poster. Are you sure you and your employees are covering coughs and sneezing the right way? Reiterate the RIGHT way to do it. Politely remind them through this print-ready poster. Nobody likes to be told how to do the most ordinary things like covering when sneezing. That doesn’t everybody knows the proper way. Subtly show them with a great poster. Encourage respectful manners and proper office etiquette at the workplace. 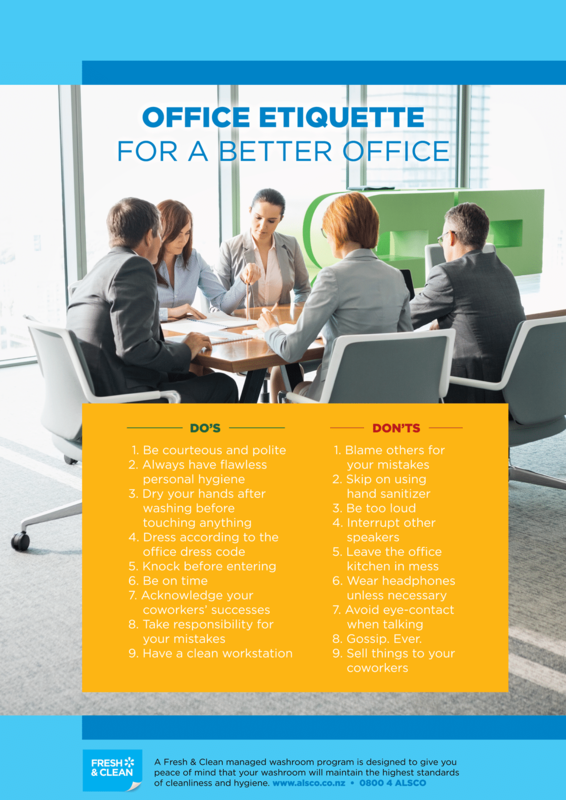 Place this poster at the lobby or at the pantry to remind everyone how to behave properly and practice proper etiquette at work. 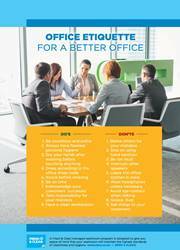 Office etiquette rules may seem like common sense to you, but that doesn’t mean everybody gets it. Place this great poster in your lobby and remind your employees about the dos and donts of your workplace. Not everybody has the same hygienic habits. That’s fine when you’re in your home, but when you are in the office, different rules apply. List those rules with this poster and avoid unpleasant confrontations and misunderstandings. 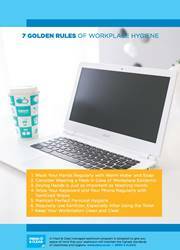 Most of the good workplace hygienic practices can be summed up in 7 rules. 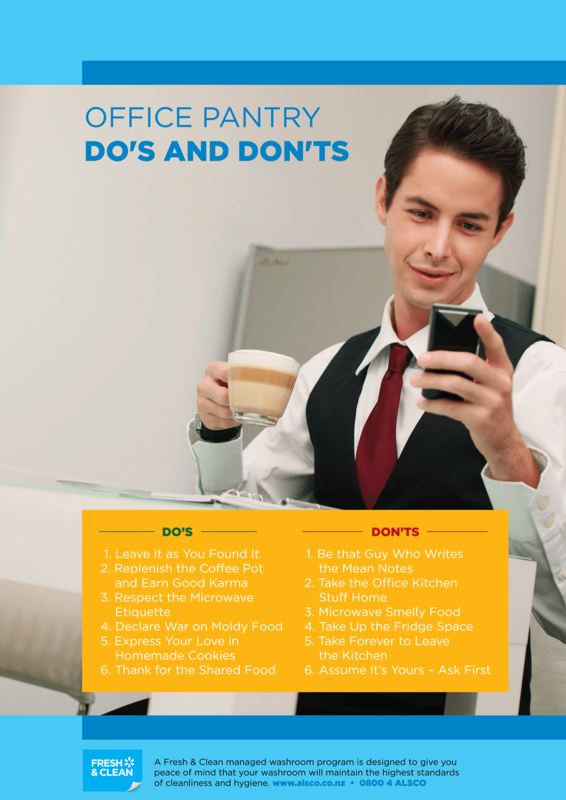 Print out this poster that nicely presents these rules and introduce them to your employees. 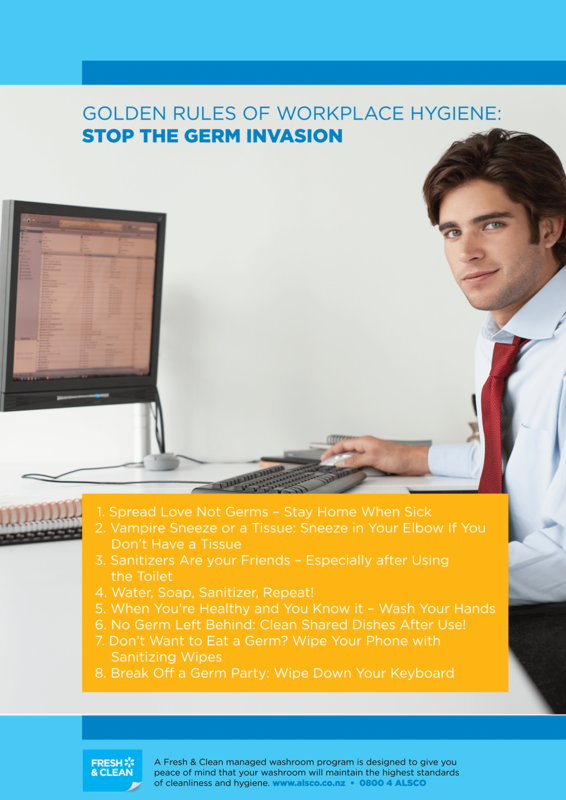 It takes a joint effort from the workplace management and the employees, to efficiently fight the germ invasion. 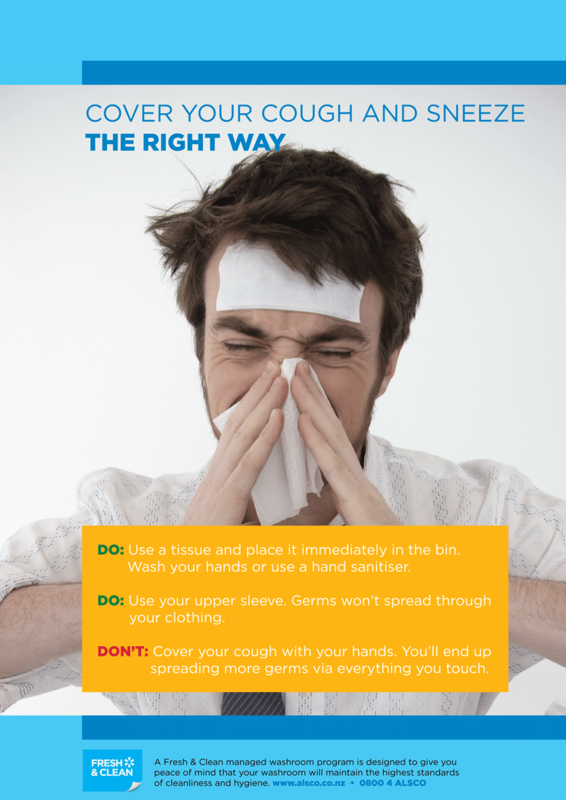 Let your employees know how to act so that all of you can go through the flu season, disease free.